Garhwal is part of the newly created state of Uttrakhand, which has beenformed from the mountainous districts of the state of Uttar Pradesh. 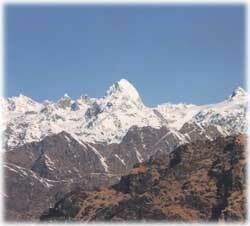 Uttrakhand became the 27th state of the Republic of India on the 9th of November 2000. Thedistricts of Chamoli, Dehradun, Haridwar, Pauri, Rudraprayag, Tehri Garhwal andUttarkashi form the part of Garhwal. The history of Garhwal as one unified entity began when king AjaiPal brought together 52 principalities together during the 15 th century.Garhwal remained one unified kingdom for the next 300 years. The capital was atSrinagar (Garhwal). The districts of Pauri and Dehradun were ceded to theBritish for all the help provided to the King for fighting the Gurkhas duringthe early 19 th century. Nestled in the mountain ranges of theHimalaya, Dehradun is the Capital of Uttaranchal. It is one of the mostbeautiful cities of India, known for its scenic surroundings. 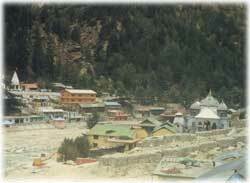 The town lies inthe Dun Valley, on the watershed of the Ganga and Yamuna rivers. The nameDehradun is a collection of two word "dera" meaning Camp and "dun" meaning valley. Some of the best public schools and convents arehoused in and around the city. The town of Mussoorie over look the town and itsview from Dehradun late in the evening is an unforgettable sight. 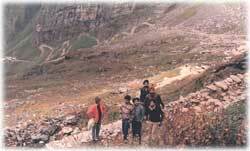 Garhwal is the land of high mountains and deep and narrowvalleys. 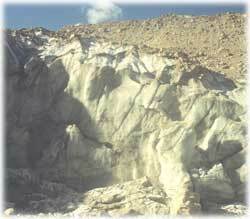 The mighty rivers originate from the glaciers in the high Himalaya andflow down the deep valleys. The two big rivers of India, Ganga and Yamuna arehere and these rivers support a mammoth population along their courses till theymet the mighty Bay of Bengal. This has always inspired the plains people tovisit these places from where their life lines originate. 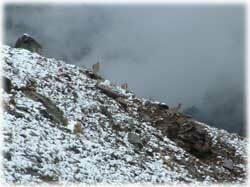 The Char-dhams, the four most sacred and revered Hindu temples, Badrinath, Kedarnath, Gangotri and Yamnotri arelocated at these places and have been visited by pilgrims since time immemorialdespite the severe hardships one has to endure. The land of Celestial Beauty Blessed with magnificent glaciers , majesticsnow-clad mountains, gigantic and ecstatic peaks, valley of flowers, skiingslopes and dense forests, this Abode of Gods includes many shrines and places ofpilgrimage. A picturesque state, with a breathtaking panoramic view of Himalayas,Uttaranchal promises its tourists a visit full of fun and unforgettable moments. The rail mode is available from various cities of India to Dehradun, Haridwarand Kotdwar. The city of Dehradun has a small Airfield which brings the state onthe air map of the country. The place is connected with good roads. The valleysare deep and so the Buses stops by evening and no night service is availablein the mountains. However, these days the taxies ply up to late in the eveningand are a great help. 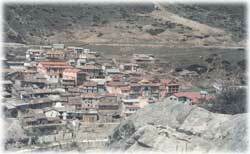 The economy of the place is mostly dependent upon tourismand the pilgrims visiting the Char- Dhams. Since these temples are located highup in the mountains, access during winter is difficult due to snow. Thisbrings down the tourist movement. The state is developing new areas for wintersports and in the years to come there is hope of year round arrival oftourists. There is endless scope for adventure tourist in the state. The mighty riversoffer one of the best possibilities of white water rafting in the country. Morethan the opportunity, its is the availability of the infrastructure for rafting.You want to only do camping, well there are endless places where you may camp.Trekking trails are endless and are of every level of difficulty. The big andmighty mountains offer every level of difficulty for one to try his expertise inmountaineering, may it be rock climbing or snow and Ice climbing. Oh, you wantto ski, well Auli and Dyara bhugyal offer you all. One visit to the state andyou are there year after year. 1 Gangotri Tapovan and back 09 days. Details.